With the E3 announcement of the Xbox One X, the console wars are revving up again. Microsoft's newest console will launch on November 7, almost exactly a year after Sony began selling its 4K-capable PlayStation 4 Pro. Microsoft's Xbox One X is $100 more expensive than its rival and doesn't support virtual reality at launch, but it's a far meatier, more powerful console. 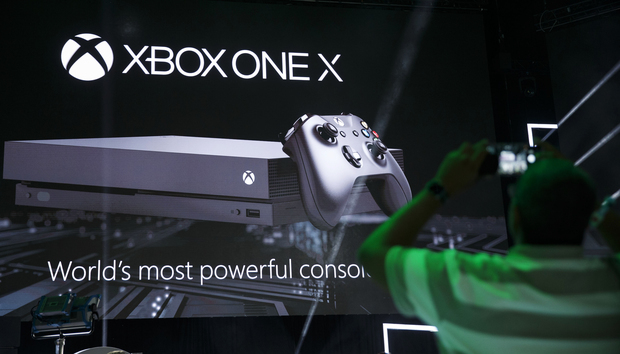 For full details on the console, specs, launch date, price and upcoming games check out PCWorld's full coverage of the Xbox One X. Of course, PCs have been able to pump out 4K visuals and run games at 60 frames per second at 1080p resolution for a while now. If you're more of a computer gamer, be sure to check out the 40 must-see PC gaming gems from E3 2017. We've gathered all the relevant trailers in one handy-dandy location.